Sophomore Day and Career Day – two of the biggest events of the spring semester – are planned for next week at Missouri Southern State University. 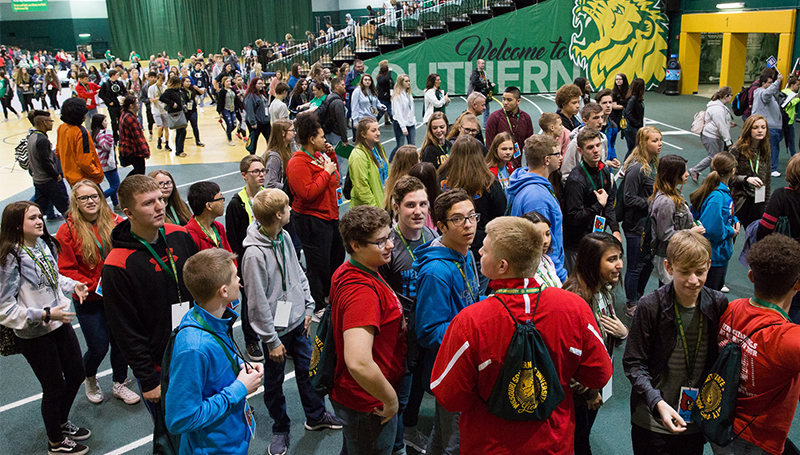 More than 1,000 area students are expected for the annual Sophomore Day event, set for Tuesday, April 2. High-school sophomores from Webb City, Neosho, Monett, Aurora and Galena, Kan., will be on hand for the event, which will begin with opening ceremonies at 9:15 a.m. in the Leggett & Platt Athletic Center. Students will be divided into groups for a day of campus tours. Nearly 30 stops will be offered across campus, showcasing programs such as teacher education, criminal justice, communications and business, as well as information about financial aid, dual credit and study abroad. Career Day will be held from 10 a.m. to 1:30 p.m. Wednesday, April 3, in Leggett & Platt. Open to all Missouri Southern students and alumni, the event is a chance to network with representatives from a wide variety of area employers, graduate schools and others.